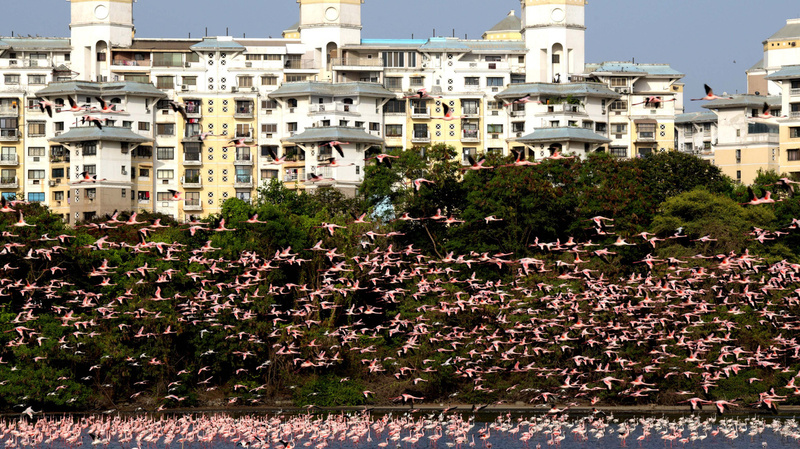 More Flamingos Are Flocking to Mumbai Than Ever Before. The Reason Could be Sewage There is an almost three-fold increase in the flamingo population in Mumbai, India. Rahul Khot, assistant director at the Bombay Natural History Society, tells NPR his speculations as to why. NPR's Audrey Nguyen and Sarah Oliver produced and edited this story for broadcast.